This luxurious Art House ensuite shower contrasts the simple relief forms of FROZEN GARDEN ceramics with beautifully detailed mosaic. 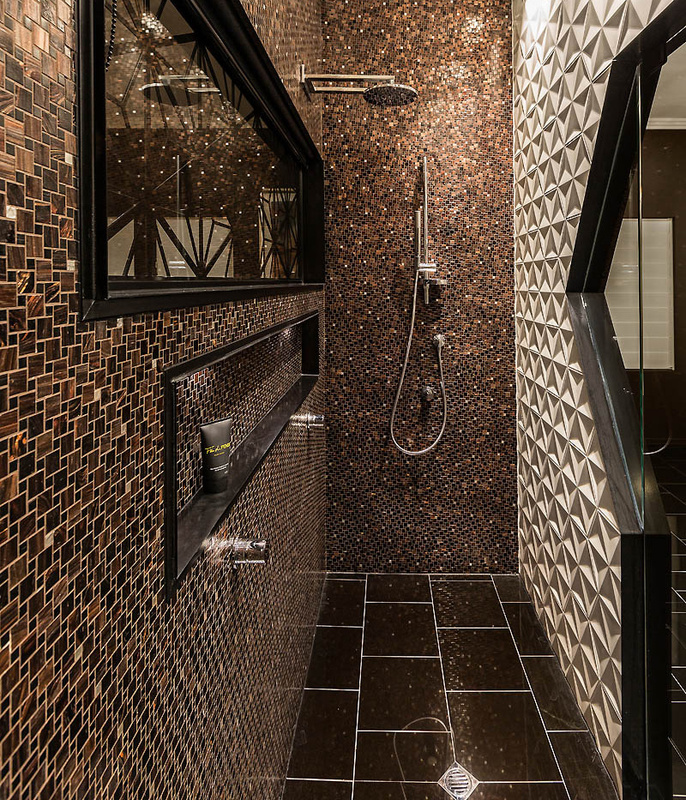 Intended to produce a dark and masculine feel for this unique residence, the ensuite space has become a focal feature of the overall design. The relief forms of Bisazza FROZEN GARDEN white ceramic tiles are cleverly accentuated by dramatic lighting. 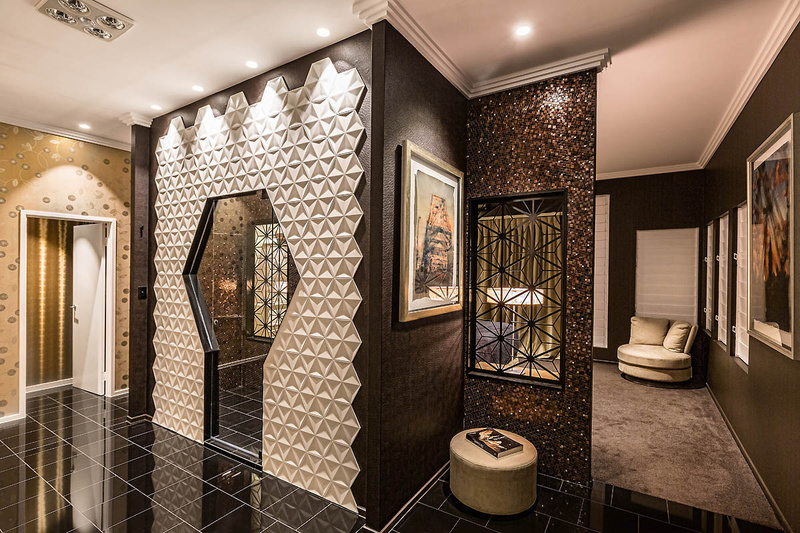 The project’s multi-award-winning designer Mark Gacesa of Ultraspace, wanted to create an amazing entrance experience and chose dimmable rebated spotlights to show off the beautiful three-dimensional pattern. 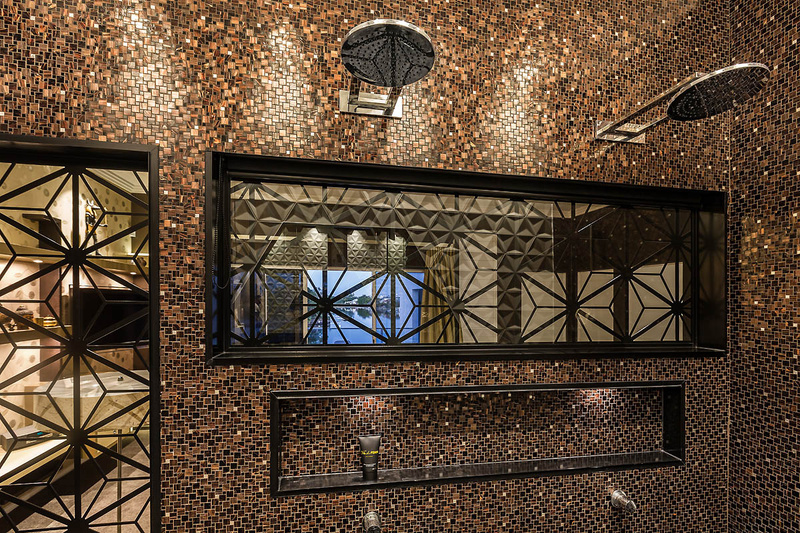 On the opposing walls, the design features a multi-coloured mix of Bisazza mosaic of varying sizes, the colouring of the tesserae creating a seductive warmth. The tiles themselves were selected from the LE GEMME range for their luxurious richness of detail.